For me, the key to gifting is picking an item you wouldn’t expect the recipient to treat themselves to. Maybe it’s a more extravagant item, maybe a little outside of their spending comfort zone (ya know, I don’t looooove to spend $35 on lipgloss for myself, but my best friend? You bet!). This approach helps you to select an item you know they’ll love and really feel the thought that you put into it. After all, it’s the thought that counts, isn’t it? 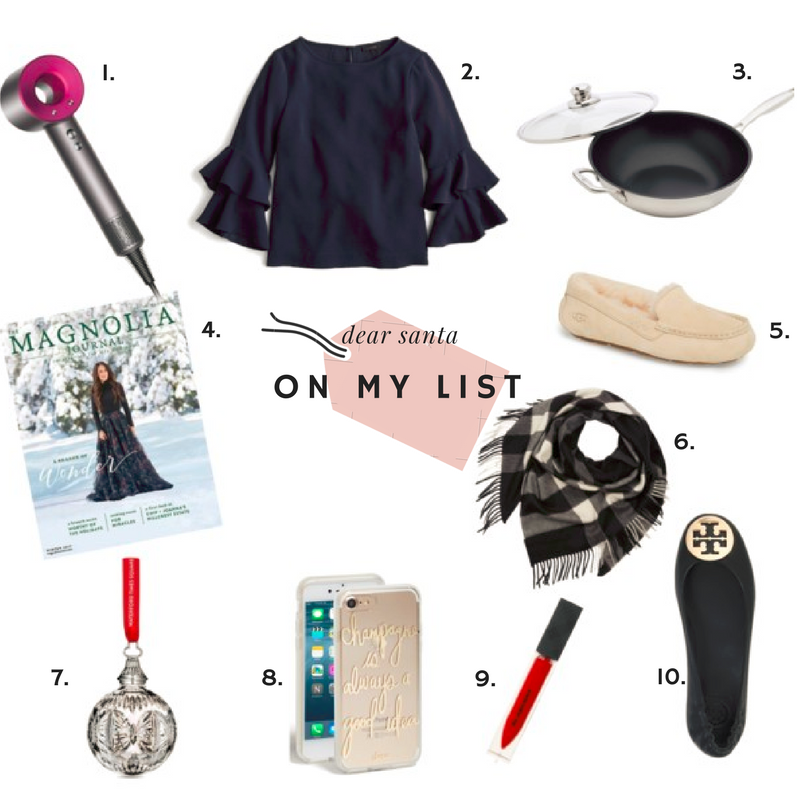 This year, my letter to Santa has a little bit of everything, from beauty to clothes to accessories to my favorite pan I cannot live without (so I obviously need a second one). No. 1 Dyson hairdryer // No. 2 Ruffle blouse // No. 3 My favorite All Clad pan (similar)- total workhorse in my kitchen and I would just love love love to have a second one // No. 4 A subscription to Magnolia Journal because JoJo is my homegirl // No. 5 A cozy pair of slippers // No. 6 A pretty scarf in neutral colors // No. 7 The Waterford New Years Ornament I ask “Santa” aka “Hubby” for every year // No. 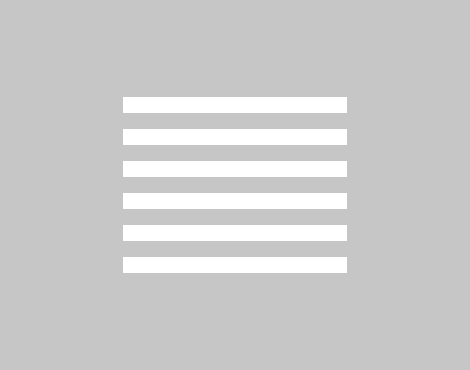 8 Fittingly the iPhone 8 – you don’t even want to see my phone screen right now…// No. 9 Burberry lippy in military red // No. 10 A new pair of black flats, because the pup ate my good pair.